Our kids are constantly asking us for special drinks they can enjoy, this is a fun, refreshing treat, that can be prepared with the kids and enjoyed on long summer days. The kids love the fizz and pink colour, and it makes them feel grown up, with a bit of creativity it could be made into an adult version too! Divide 1 Litre of Ginger Ale between 2 jugs and add blueberries, half lemon and half lime slices and 1 tablespoon of ginger to each jug. Save half lemon and lime slices for serving. When ready to serve fill glasses with ice, half fill with chilled mix and add fresh lemon and lime slices. Fill glasses with Ginger ale and watch it fizz. 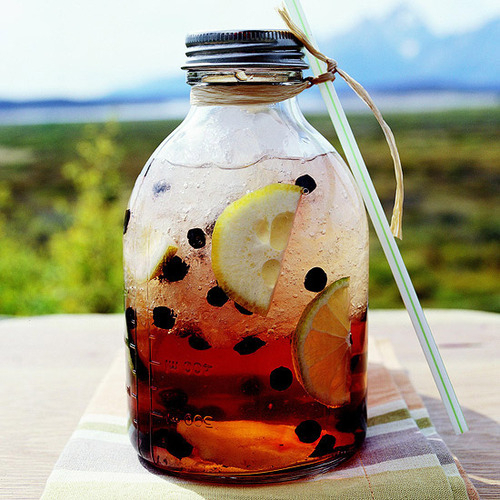 Enjoy this refreshing drink on a hot summer day.